Visitation is very important to young people in a detention or residential facility. It has our strong encouragement and support. But we have strict rules to ensure that visits are safe for everyone involved. Visitation is an important component of a youth’s stay in a detention or residential facility, and it is encouraged and supported by ECJDC staff. All visitors’ names must appear on the resident’s visitation list. If a resident does not put the visitor’s information on their list; then the visitor WILL NOT be allowed to enter the facility. If a resident has a child or younger sibling under the age of 14, they will not be permitted into the visiting area. A special visit request must be arranged with the resident’s social worker. Gate # 1 will be opened 30 minutes prior to the start of visitation and will close 15 minutes after the session commences. Once Gate #1 closes, NO ONE will be permitted in. THERE SHALL BE NO EXCEPTIONS. 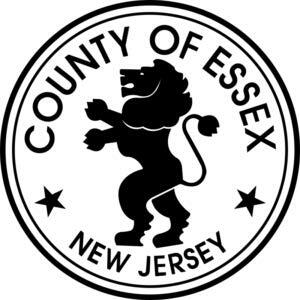 The Essex County Juvenile Detention Center has a strict ZERO TOLERANCE policy regarding abuse including sexual assault and sexual harassment regardless of age, gender, or sexual preference. 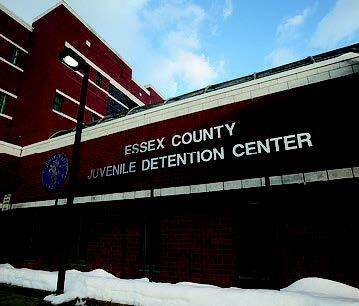 All persons who are on the grounds or within the enclosure of the Essex County Juvenile Detention Center are under 24 hour camera surveillance. All visitors will be required to bring a form of identification with picture and an address. Visitors must submit ID to main control officers and give the full name of the resident being visited. Legal counsel, probation, law enforcement, clergy and other legal professionals may visit youth outside of regularly established visitation times as necessary, and are subject to any requirements regarding signing-in and contraband. All visitors are subject to electronic search. Visitors shall not bring personal items (e.g. keys, purses, packages, etc.) into the secure area. The introduction of any unauthorized items into a detention facility is a serious crime and violators will be arrested and prosecuted. Are dressed in inappropriate attire as outlined in the Detention Center Operating Procedures and posted at the facility entrance. Visitation may be terminated if the behavior of the visitor or of the youth is disruptive or not in compliance with Detention Center policies and procedures. The termination of a visit may lead to the suspension of future visitation privileges at the discretion of the Director and/or Superintendent. Any questions that a visitor may have regarding a youth’s case or charges should be referred to the youth’s assigned Social Worker. If his/her Social Worker is not available ask to speak with Social Services Supervisor. Other detention related questions should be referred to the on-duty ECJDC Custodial Supervisor. Visitation shall take place in a designated area or room of the Detention Center that allows a safe and secure environment. Visitation room or areas and any other common area shall be searched both prior to and following visitation to ensure the absence of any hazardous or dangerous items or items that would be considered contraband. FACILITY ADMINISTRATION RESERVES THE RIGHT TO CHANGE VISITING SCHEDULE WITHOUT PRIOR NOTICE. ALL STANDARD VISITS ARE LIMITED TO TWO (2) PERSONS (PARENTS, GRANDPARENTS, LEGAL GUARDIANS). Union County provides complementary van transportation to the Essex County Detention Center for families and friends wishing to visit. The transportation will leave from the Union County Administration Building, 10 Elizabethtown Plaza in Elizabeth, NJ. The van will be located under the building. Reservations for transportation to the Essex County facility must be made 24 hours in advance by calling 908-965-3774. Parking is available at the J. Christian Bollwage Parking Garage at 233 Commerce Place, Elizabeth, NJ. Transportation back to Union County will be at the conclusion of the visiting period. Van leaves 30 minutes prior to visiting registration but you must arrive at 2:30 pm to board the van in Elizabeth. We ask that you bring a black or white garment as a precautionary measure, in case there are concerns regarding your attire.